Sunday gave Cataloochee and Sugar fans a taste of the winter to come. Sugar remains open for day sessions today. Not sure how many people will partake of Sugar’s offering today as moderate-to-steady rain is forecasted for today, tonight and Tuesday (100% chance) across the region. That forecast prompted all of the ski areas, except Sugar, to decide to play a waiting game and save the snowmaking that was done this past weekend and hope that the rains that are entering the area as of this post – will not do that much damage to the snow that was put down on Saturday and Sunday. Interestingly at around 10am there were television crews set up with two camera as the base shooting film of the handful of people brazing the slopes. She also shared that they opted not to remain open today and Tuesday with the rains and that they would reopen later in the week. “Our plan is to resume snowmaking as quickly as temperatures allow”, she stated. According to everything we’re seeing the highs at the mountaintops for this week with remain in the upper 30s and low 40s while the low temps will be JUST outside of snowmaking opportunities. The heavier rain will be today and this evening. Tuesday will provide lighter rain and then possibly even change over to snow Tuesday evening at about the same time that the snowguns should crank back up. After only a brief break Wednesday morning, a second low has more cold air to work with. Expect rain developing late Wednesday, changing to freezing rain and sleet Wednesday night, and ice continuing into Thursday morning. Travel trouble is a decent bet Thursday morning. Ice changes to rain by noon Thursday, but precipitation could end as light snow late Thursday night and early Friday morning. You can tweak that forecast to a bit more chances of light snow for Snowshoe, Canaan, Timberline and perhaps Wisp Resort. We have a LOT more to share later. So check back. 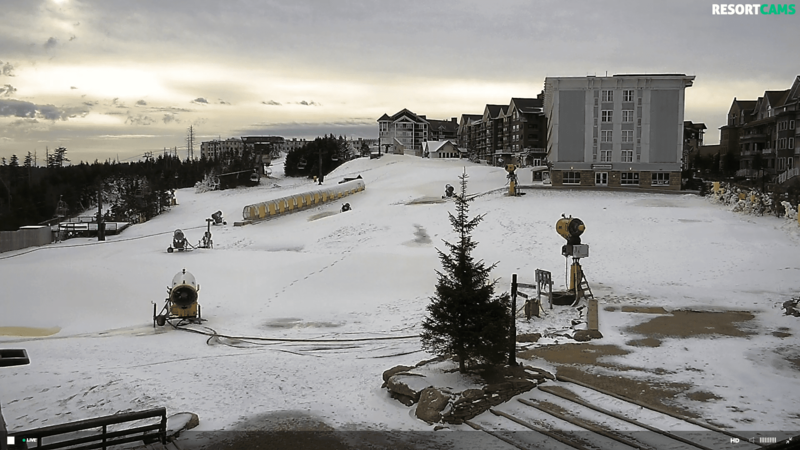 Previous articleCataloochee Ski Area & Sugar Mountain Opens Today!